These Soul Shepherding Advent resources will foster joyful appreciation of the coming of Christ Jesus in history and in your heart today! This 12-page PDF resource features ten one page devotionals, each themed on a Bible character in the Advent story. Each meditation includes an Advent passage of Scripture, picture, reflection, and Breath Prayer from the Bible. This is designed for personal devotions or small groups. This PDF resource includes 15 prayer pictures. Each one includes a picture of an Advent character (including many that will surprise adults and delight children! ), a very short meditation, a reflection question, and a prayer prompt. We’ve used this at celebration events with family and friends, including school-aged children. Everybody has fun with it! And it’s an opportunity for soul talk among spiritual friends or in a small group. Each person picks one of the prayer pictures and then uses its prompt to guide their sharing. People can simply offer their thoughts on the Bible verse or character or go deeper and share their personal response to the reflection question. 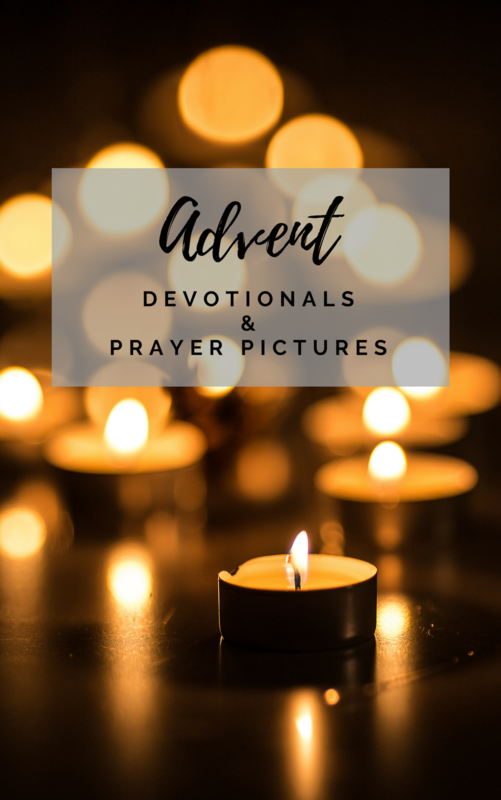 In either case, participants are invited to look to their Bible character as a “companion” to help them draw near to Jesus Christ during Advent.